Are you looking great ways to promote a business or to improve your brand visibility? Look no further; just grab the magnetic clip business card holder from our collection. At custommagnetsdirect.com, we offer a high valued magnetic clip business card holder, business card magnets at cost effective prices. 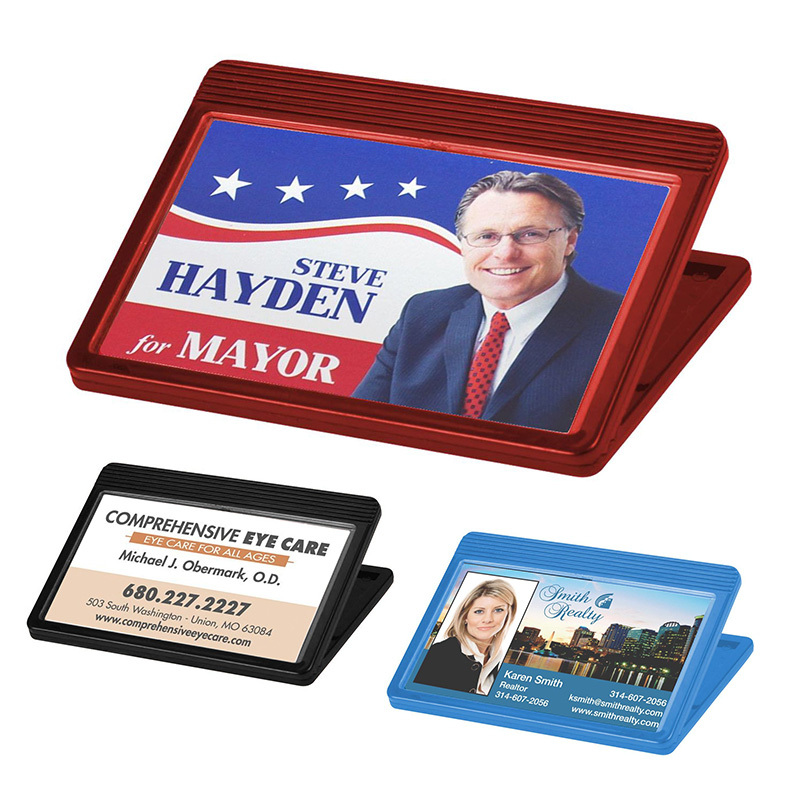 We offer this strong business card holder with magnetized memo clip on one side and the space to insert business cards. The magnetic clip business card holder becomes a good brand reminder and customers will always love to preserve them due to its utility value. It can be used endlessly throughout the office and at home.